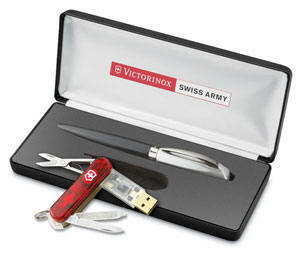 How can a single gift provide double the impact? 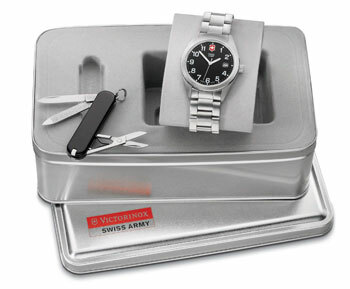 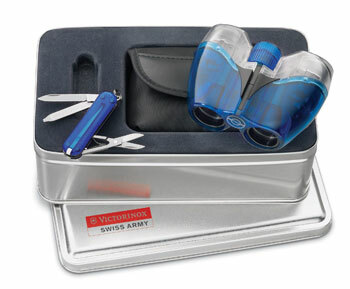 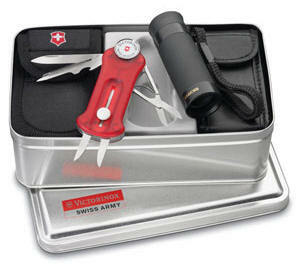 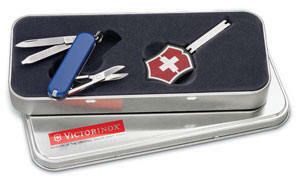 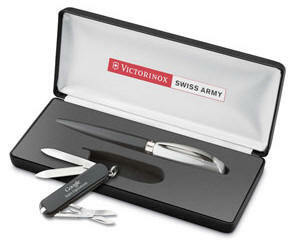 When it's a Combination Set from Swiss Army® Brands, Inc. - a multi-purpose presentation that's perfect for multi-faceted people. 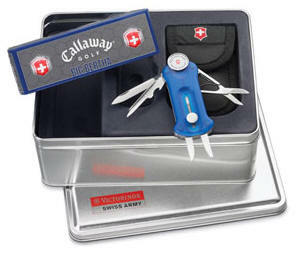 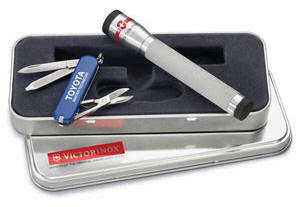 Each unique package offers at least two tools. 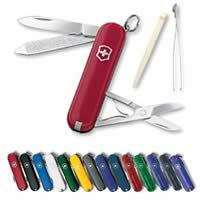 All are ideal as individual gifts, but together, they make an even more extraordinary expression of value and versatility. 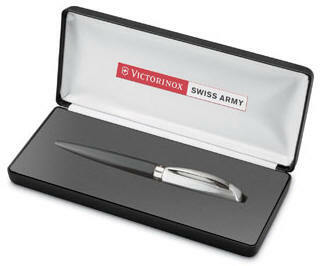 Imprint - No charge for One Location. 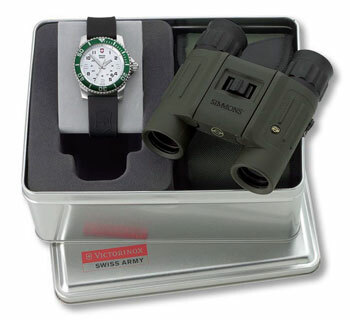 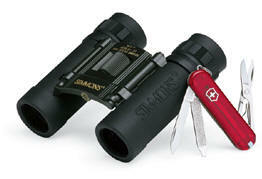 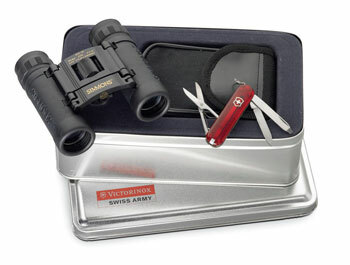 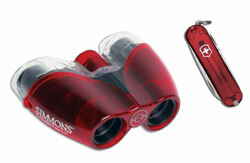 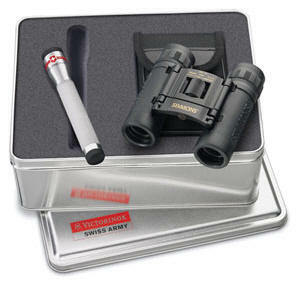 Area: 1 1/2" x 1/2"
Packaging Set Gift Boxed in a keepsake Simmons Binocular Tin with a Silver Lid. 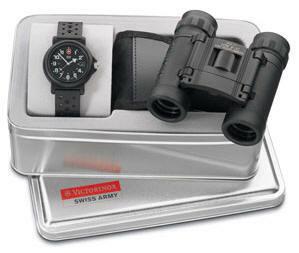 Imprint Area for Lid: 3 1/2" x 2"
4 functions: High Power, Low Power, Strobe and Signal. 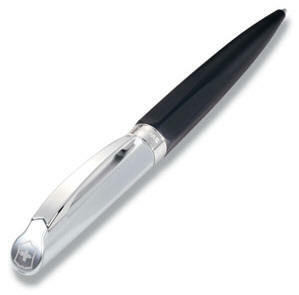 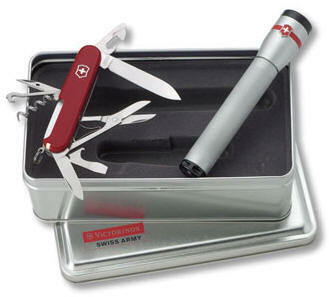 Product size:3.1" long including clip;1.7" long (Cross & Shield); .35" thick (cross & Shield); 0.4 oz. 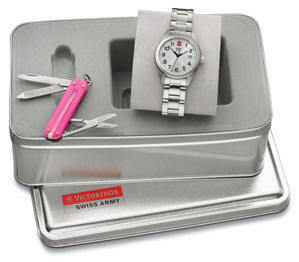 Imprint Area : Dial- 7/16" x 1/8"
clip Area: 1/2" x 3/32"
Area.Front-1" x 5/16" / Back : 1 3/4" x 5/16"